Come along and celebrate Chinese language week at Khandallah Library by making paper dragons! Supplies will be provided to help you make your own elegant, wise or fierce dragon. Join us at Khandallah Library on Thursday 27th September from 6:30 to 7:00pm. No RSVP required. Suitable all ages! 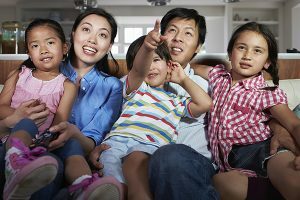 Lonely Planet have put together this gorgeous children’s guide to 100 basic mandarin words for topics like food and weather. Explore Chinese history, tradition and art with this beautiful book. Meet Li Li and Gordon as they learn to communicate in simple Mandarin and English. Learn how to create a range of Chinese crafts, adapted for kids with a step-by-step guide. See you at Khandallah Library! Did you know you can automatically earn prizes for sending us your book reviews? 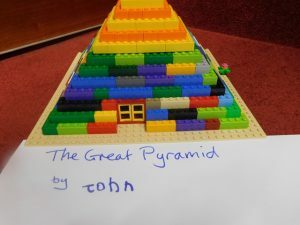 Write a Kids’ Club review about a book you liked (or didn’t like! ), and see it published online for the world to see! You’ll automatically earn a prize after your first 2 reviews, and after every 5th review from then on. Anything you read can count – chapter books (even school ones), non-fiction, comics, and more! Sometimes we get reviews of really cool and useful websites – which we think is great! Head over to the Kids’ Club page for more info, and to get started. Come along to our free movie night on Thursday 18th January at 6pm. This month a young woman in ancient Polynesia discovers that a terrible curse was inflicted on her island after Maui stole the heart of a goddess. To end the curse, she sets out on an epic journey across the Pacific to find Maui and convince him to return the goddess’s heart. When nine-year-old Vicki Wilson’s beloved lease pony was sold, she was heartbroken. Her family didn’t have much money, and she was desperate to have a pony of her own so she could keep riding. Then Vicki has the chance she has been waiting for, to tame and train her own wild pony! How will she earn the trust of her beautiful new chestnut? And will he ever be quiet enough for her to compete at Pony Club or Ribbons Days? Matilda loves science and inventing. 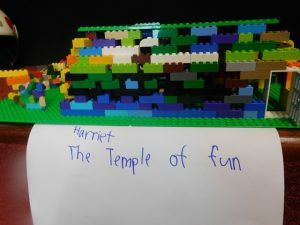 Her heroes are Marie Curie, Leonardo da Vinci and Thomas Edison, and one day she wants to be a famous inventor herself. So when she doesn’t win the school science fair, she’s devastated — especially as the judges didn’t believe she’d come up with her entry on her own. When Matilda shares her woes with her Grandma Joss, she’s astonished to learn her grandma was once a scientist herself — an astrophysicist, who discovered her very own planet. Trouble is, Grandma Joss was also overlooked — her boss, Professor Smocks, stole her discovery for himself. And he’s about to be presented with a Nobel Prize. Matilda concocts a plan. They’ll crash the award ceremony and tell everyone the truth! So begins a race against time on a journey through Paris, Hamburg and Stockholm, and on which they encounter a famous film star, a circus, and a wanted diamond thief! Joining his family to collect discarded things that they can put to use, little Marvin the beetle enlists James’ help to save an injured Uncle Albert. “So begins the adventures of Zeus. Once just a puppy his brothers and sisters laughed at, now he’s starting his training to become a real life police dog. Will he pass the test? Will the dog that nobody ever thought would ever have such an important and exciting job succeed…” –Back cover. Meet the Robots @ Khandallah Library! Have you ever wondered what goes on in the mind of a robot? Come along to Khandallah Library to meet Blue, our resident humanoid robot, and find out what’s happening behind the blinking lights and whirring motors. You’ll get to talk to Blue, learn how he communicates, how he makes decisions, and even learn how to write a simple programme for him to run. Perhaps we can even convince Blue to read to us from his favourite library book! Blue can’t wait to meet you! 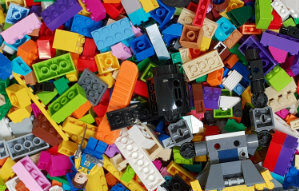 Thank you to everyone who has been coming to our Let’s Go Lego! sessions at Karori and Cummings Park Libraries! 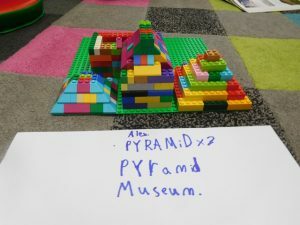 So far, we’ve had a blast learning about and building the seven wonders of the ancient world, putting together code one block at a time, learning how to talk to robots, and stretching our imaginations completing some really head-scratching Lego challenges. 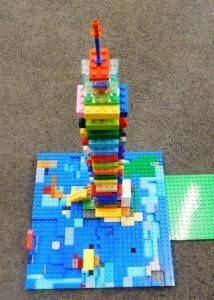 Check out the gallery below to see some of the awesome creations you made at Karori Library last weekend! Everyone is welcome to join us! 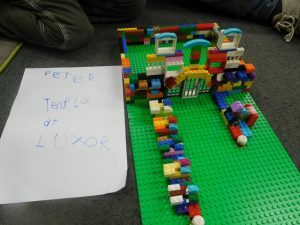 Let’s Go Lego is held at Karori Library on the first Saturday of each month (next session is December 2nd), and at Cummings Park Library on the third Monday of each month (next session is November 20th). No bookings required, and it’s completely free! Contact Stephen at Karori Library, 476 8413, to find out more.